The views and opinions expressed in this article are those of Roger Montgomery. You should not act on these views or opinions without undertaking your own due diligence as to the voracity and accuracy of his views and opinions. These views and opinions may be wrong or misleading. Montgomery Investment Management’s Founder and Chief Investment Officer Roger Montgomery on what it’s like to be a business digital influencer, why he remains committed to sharing thought leadership and where investors should look for free investment advice online. Speaking with The Capital Network’s Lelde Smits on Sydney’s Luna Park Ferris Wheel. Lelde Smits: Hello I’m Lelde Smits for the Capital Network and joining me here at Sydney’s Luna Park on its Ferris Wheel is one of Australia’s best known digital influencers, Roger Montgomery. Roger, welcome. Roger Montgomery: Thanks, Lelde. Nice to be here with you. LS: Roger, like the stock market, this Ferris Wheel is going up and down. RM: It’s a great metaphor isn’t it? LS: It is indeed. You’ve established yourself as one of the best-known commentators on the stock market. Where do you get your information from and what’s your strategy for sharing? RM: First and foremost we’re fund managers, so we’ve got the Montgomery Fund, the Montgomery Global Fund and the Montgomery Private Fund so as fund managers we’ve developing content every day naturally. So really we’re not obtaining the content anywhere else, it comes from within our own business. And, I think in terms of integrity and reliability that’s always the best source. LS: And, of course, the information you share is free. What’s the rationale behind that? RM: It is about driving traffic. It’s about audience participation, and a crowd draws a crowd. So if there’s lots of people coming to your content, then there must be a reason people are coming for your content. LS: Absolutely. And, of course, you did make it free and gain a huge following over the past few years. 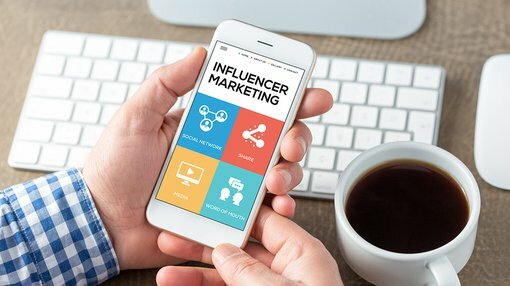 When did you first realise you’d become a digital influencer? RM: When I realised I was going home and we posted something on our blog, and there were then over five or six hundred comments waiting to be approved. And I had to go home and work the entire night to approve the comments. I realised then that we were saying some things that people were genuinely interested in. That was inspiring; it was also motivating. LS: Roger, what would be your advice to business-focused individuals that are hoping to follow in your footsteps and also become a digital influencer? RM: People are genuinely interested – it might surprise many – but people are genuinely interested in learning how to be successful. And, in our case, learning to invest successfully. So it doesn’t matter what you are in the business of doing. If you’re successful at what you do, people want to understand how you do it. What prevents people from doing it, I think, is the fear that the competitors will find something out. But really, if you’re clever, you don’t need to give away all of the intellectual property. The way I describe it is, “We take people all to the river we fish in, but we don’t take them to our fishing hole”. LS: In the business world, or community globally, who do you think is doing a good job in sharing information? RM: I think Howard Marks in his Monthly Memo does a really good job. And, he is so successful he doesn’t actually need to promote it himself. He releases the memo and then everyone else on their blogs and on their Twitter accounts forwards it on to the rest of the world. And I think that’s got a lot of authenticity to it. I think that’s terrific. LS: That’s a gold standard to aspire to. LS: When it comes to following these individuals, who are you really looking to for guidance? RM: We’re looking for the thought leaders. We’re interested in those who are coming up with original thinking. Not necessarily those who are merely commentating on other people’s original thinking. So we’re not really following commentators, we’re following the people that those commentators would like to follow. LS: A lot of this information is now readily available on the internet. Where can investors go for the best free investment advice? RM: It would be remiss of me not to say Roger Montgomery dot com. We’ve got a team of 18 who are creating content every day on our blog. But I think in the US and in Europe and in India there are actually some fantastic value investors so people just literally Google “legendary value investor”. There’ll be a lot of Warren Buffet and Charlie Munger. Get past that, because everyone is following those and then look for the Howard Markses of the world and the Ray Dalios of the world and your investing knowledge will increase exponentially. LS: Well Roger, thank you so much for the insights today here at Sydney’s Luna Park. RM: Thank you for inviting me to such a fantastic venue.